One of the greatest things that sports does for children may be to expose them to failure. All of us will fail and it is important to learn to be resilient and respond appropriately. 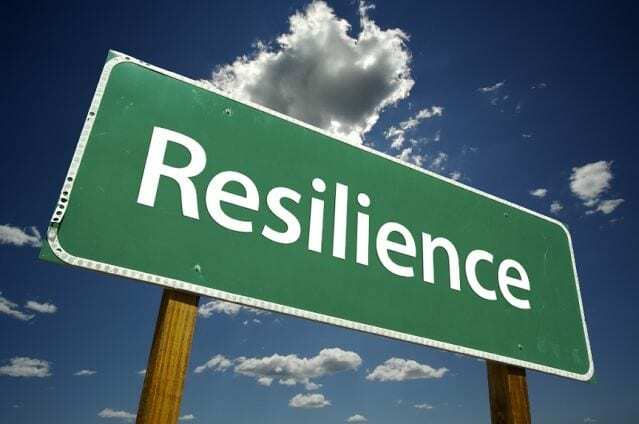 To be resilient means to be “able to become strong, healthy, or successful again after something bad happens”. Great people are not great because they have never failed, most become great because they have learned to respond well to failure. One learns by doing and experiencing, and at E4A we believe that holds true when it comes to responding to failure. Some would like to insulate children from these experiences, but in the end that might be limiting their growth. Sports is a great tool to teach children resiliency. I remember well the crushing blows that sports delivered in my life. I remember sitting there as a 6th grader trying out for the 7th grade basketball team on the outside playground of Sage Junior High while the coach read off the names of those who had made the team. When my name was not called it took every amount of strength I had inside of me not to burst into tears. I went home and cried myself to sleep. I had a hard time going to school the next day. My best friend had made the team as a 6th grader and I did not think that I could stomach hearing my teachers and friends congratulate him and console me. But guess what, I went. As an 11 year old kid I stopped crying and went to school determined to prove at lunch that the coach had made a mistake. As it turned out he had made a mistake…He called me a few days later and asked why I was not attending practice. He had inadvertently failed to call my name, but I will never forget what those two days of thinking I was cut taught me. I remember being a sophomore on the varsity basketball team in high school and getting fouled at the buzzer while shooting a three pointer with our team trailing by two in the Semi Final Game of the Hart Holiday Classic Basketball Tournament. The other coach called a time out to ice me. I went to the bench and my coach gathered us into a circle and said, “Let’s sit back and watch Shad do what he does best. You got this Shad, go win the game for us!” All of my teammates wished me well. I stepped to the line confident as can be. The Hart fans began to yell and scream and kick the benches which literally made the gymnasium shake. I missed the first, hit the second and missed the third. I had lost the game for my team. Frustrated, I punched the gymnasium floor as the Hart fans rushed the court! My father came down onto the court, and I cried on his shoulder. I am not sure what was more embarrassing, to lose the game for my team or to cry about it. I went home that night and stayed up until midnight shooting free throws in my driveway. I shot them in sets of three. Not one time did I fail to make at least two. At one point I was so frustrated I kicked the ball into the garage door. The next day I had to go and play another game. As I walked around the gym I saw people pointing me out as the “poor boy” that missed the free throws the day before. I was determined to learn from that and to not make the mistake again. As a Senior I was faced with nearly the same situation and was able to redeem myself. I could go on and on about my sports failures, but instead I will tell you this. Without those failures I do not think I would have been as equipped as I am to deal with the failures I have face off the court. Sports taught me to get up and try again after failing. Sports taught me to face tough situations and to do so appropriately. Sports taught me to be resilient. I hope that each of you athletes are grateful for the opportunity to just play the game. Is there anything as exhilarating and satisfying as a hard earned victory? Maybe not, but is there anything as tutoring as a hard to swallow loss? Probably not. Sports will give you an opportunity to be a loser…and ultimately that might be what makes you a winner in life. So next time you fail, I hope it hurts, I hope it hurts so bad you can’t sleep. I hope you want to go home and go to work, and wake up the next day longing for another chance to prove yourself. If you can learn to do so. You will truly be a winner in the aspects of your life that really matter!